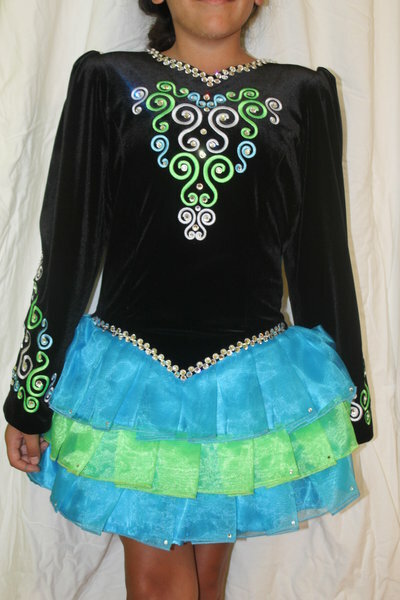 This solo dress is extremely well made. 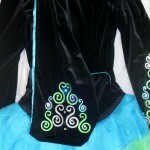 It is of the highest quality velvet in a stretchable fabric. It has always been well cared for – in a smoke free home. 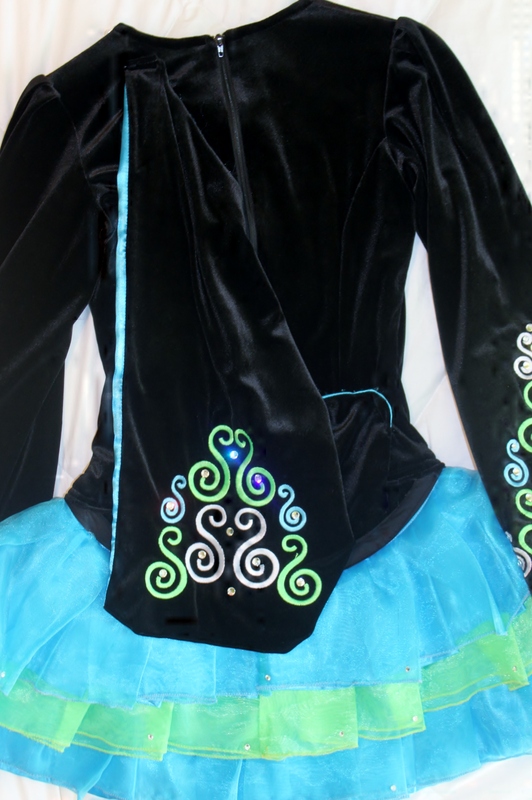 The embroidery is bright green, blue, and white with many, many crystals. 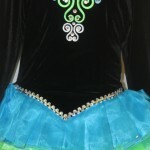 The skirt is a very bright blue and green. 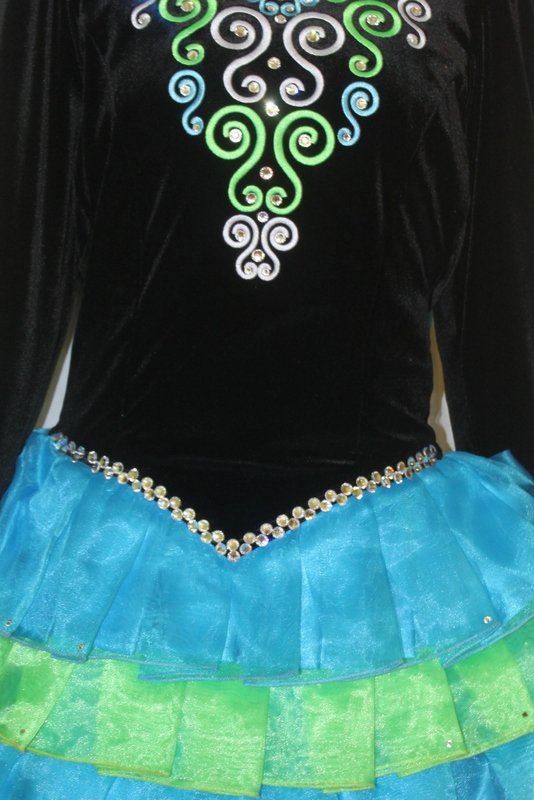 The dancer has sadly outgrown this lovely dress. There is at least 1/2″ room to let out on each side. Dress is fully lined. Asking Price: $US700. Shipping costs are not included in the asking price. Will accept returns and refund the cost of the dress, buyer to pay all shipping costs.